Air Conditioning Excellence, Inc. has long been a trusted name in the community when it comes to AC Repair Service Lighthouse Point FL. Since 1986, we've been hooking people up with high-quality indoor air through heating and cooling systems tailored to your needs! Your complete satisfaction is our goal! We promise 5-Star Results. You 100% satisfaction and the peace of mind that comes with an efficiently operating HVAC system working at Peak Performance. That means you not only have a healthy indoor environment, but lower costs on your energy bills! Choose Air Conditioning Excellence's top-of-the-line products and reliable service today! Ready to replace your existing air conditioner or install one for the first time? If you're located in South Florida (Broward, Palm Beach, and North Dade Counties), contact Air Conditioning Excellence, Inc. today to learn more about our collection of air conditioning systems that save you energy and money while keeping you and your family cool all season long! Since 1986,we've been providing AC installation for Fort Lauderdale and the above-mentioned counties. We also offer unbeatable repair and replacement services for air conditioners in our service area. Throughout the 30 years we've been in business, we've stayed at the top of industry changes and improvements. Our award-winning South Florida air conditioning contractors have seen everything when it comes to air conditioners, and we can handle any issue you may have, large or small. We're an authorized dealer of Carrier air conditioning equipment, but we can provide services for any make and model including Lennox, Trane, York, Rheem, Bryant, American Standard, Amana, Westinghouse, Ruud, Day and Nigh. With all the experience and expertise we offer, you simply can't go wrong with our AC Repair Service Lighthouse Point, FL. Your central air conditioning and heating system is one of the mot important appliances in your home or office. Did you know that if your system is 10 or more years old, you could be spending up to 50% more on your power bill than is necessary? With government changes in SEER Ratings (Seasonal Energy Efficiency Rating), a new system may be beneficial to you. At Air Conditioning Excellence Inc., our trained professional can help you make an educated decision on whether you need a new system or just need to keep it serviced to keep your energy bills down. We offer a full line of equipment to meet your budget and personal preferences. We service and install all major makes and models of equipment such as Lennox, Rheem, Bryant, American Standard, Amana, Westinghouse, Ruud, Day and Night, York, Trane, Carrier and Goodman at prices that are extremely affordable. Our staff is a group of certified and trained experts and we look forward to helping you with any air conditioning needs that you have. Residential Air Conditioning helps you to stay comfortable and cool during even the hottest summer days. Unfortunately, an air conditioning system breakdown can quickly cause you to lose your cool. A good residential air conditioner maintenance program is the best way to prevent that from happening. By keeping your air conditioner in top condition, you can increase life expectancy of the unit, enhance energy efficiency and avoid the discomfort of an unexpected breakdown. No other AC Repair Service Lighthouse Point, FL does it like Air Conditioning Excllence, Inc.! Air Conditioning Excellence, Inc. offers commercial and residential air conditioner maintenance services that include a tune-up and safety check for areas needing repair and replacement. AC Excellence checks installation quality and equipment components, including thermostats, air filters, refrigerant pressure, coils, electrical connections and drains. A professional air quality assessment is done to ensure that your system isn't sending contaminants into the indoor air. An energy audit will help identify any areas where the system is not operating at peak efficiency and pinpoint potential weaknesses. In addition to providing necessary air conditioner maintenance, the experienced, licensed technicians on Air Conditioning Excellence Inc., service team will do an inspection and assessment of your unit. We will advise you on its life expectancy and whether replacement might be a more cost-effective option. Air conditioner maintenance will ensure ongoing efficiency and help avoid expensive repairs in the future. The life of your system is extended and performing preventative maintenance reduces operational costs. 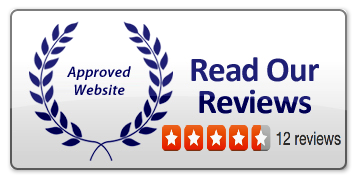 Air Conditioning Excellence Inc., has been offering residential air conditioner maintenance services for over 30 years, and we have earned our excellent reputation, one customer at a time. Contact us today for a maintenance appointment and learn how you can keep your air conditioner in top condition and operating trouble-free for years with our widely-respected AC Repair Service Lighthouse Point, Fl. Fort Lauderdale, Pembroke Pines, Hollywood Fl, Hallandale Beach Fl, Dania Beach Fl, Plantation Fl, Weston Fl, Miramar Fl, Boynton Beach Fl, Delray Beach Fl, Deerfield Beach Fl, Pompano Beach Fl, Sunrise Fl, Lighthouse Point Fl, Coconut Creek Fl, Coral Springs Fl, Tamarac Fl, Margate Fl, Parkland Fl, Cooper City Fl, Plantation Fl, Davie Fl, Wilton Manors Fl, Lauderdale Lakes Fl.